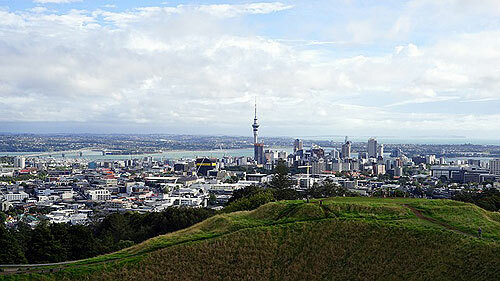 Surveys show that the New Zealand city of Auckland is one of the most popular places in the world to move to. It can boast a mild climate, a relatively low cost of living, and plenty of top-quality tourist attractions. 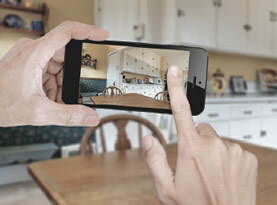 The Moving Partnership is an expert when it comes to organising international removals to New Zealand. We have partnerships with removals companies in the country and worldwide, which mean we can provide you with competitive quotes for both domestic and commercial moves. Here is our guide to Auckland, which is on the country’s North Island. The first settlement was made in the 14th century by the Maoris, whose name for it - Tamaki-makau-rau, or Tamaki with a hundred lovers - refers to its ideal location as a waterway hub and the fertility of its farmland. A British colony was set up there in 1840 and the country remains a part of the Commonwealth. Although it was replaced as the capital in 1865 by Wellington, the city and the surrounding districts are the country’s most densely populated area and it remains New Zealand’s financial centre. Today the city has a population of around 1.45 million. It is one of the few places in the world to have harbours on two different stretches of water; the Manukau Harbour faces the Tasman Sea, while the Waitemate Harbour looks out on the Pacific Ocean. Auckland International Airport, about 15 miles to the south of the city centre, handles international flights from North and South America, Europe, Asia and the Middle East. Buses, shuttle vans, taxis or trains will get you from the airport to the city. Although in the past many people relied on a car to get around, investment in Auckland’s public transport system has been increasing in recent years. Buses are the most popular method, but there are four rail lines which stop at various locations in the city. Ferry services, which operate to a number of tourist destinations, offer a more peaceful alternative. The city is also adding to its network of cycle lanes. The most eye-catching building in Auckland is the Sky Tower, which at 328 metres high is the tallest structure in the whole of New Zealand. It offers spectacular views over the city and the surrounding area. If you would rather look up than down, then the city’s Stardome Observatory is the ideal place to study the skies of the Southern Hemisphere. Auckland also has museums to suit most specialist subjects. The War Memorial Museum is notable for its collection of Maori artefacts, as well as its tribute to New Zealand’s war dead, while the Voyager New Zealand Maritime Museum looks at the country’s rich seafaring history. The city’s Museum of Transport and Technology includes an exhibition dedicated to Sir Edmund Hillary, the Auckland-born mountaineer who was the first person to conquer Everest. Nature-lovers should enjoy a stroll through the Kaipara Coast Scuulture Gardens, while Kelly Tarlton’s Sea Life Aquarium allows you to get close to some of the world’s more exotic underwater creatures. Auckland Zoo is home to more than 130 different species of animals, including meerkats, Sumatran tigers, African lions and Asian elephants. New Zealand is a country renowned for its sporting prowess, and Auckland is no exception. Eden Park hosts international and leading domestic cricket and rugby union fixtures, while sailing is a particularly popular pastime. It has been estimated that one in three Auckland households owns a boat, and the city was the host venue for two America’s Cup challenges in 2000 and 2003. The main fashion stores tend to be concentrated in the city centre, while the larger shopping centres tend to be located in the city’s suburbs. If you are after genuine local craftsmanship, then your best bet may be to visit one of the city’s many markets. Either Parnell Farmers’ Market or the City Farmers’ Market offer plenty of seasonal produce, while the Otara market specialises in Polynesian arts and crafts. Whatever your requirements for international removals to New Zealand, the Moving Partnership can organise your move to Auckland, as well as other destinations across the country, including Wellington, Christchurch, Hamilton and Dunedin. We have a host of worldwide contacts in the removals industry, so can also organise moves to international destinations including Scandinavian countries as well as the rest of Europe, plus North America and Canada, Cyprus, Turkey and China. Click on the link above if you would like to know more about our services or receive a competitively-priced online quote.